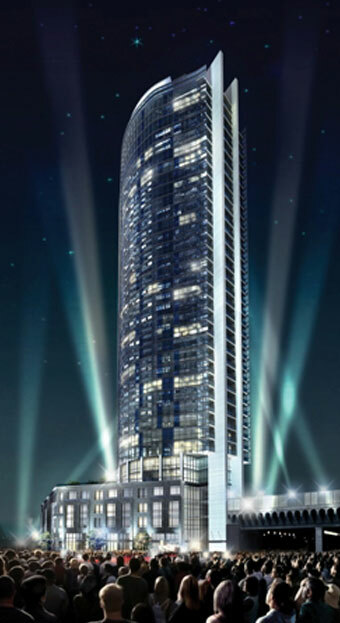 8 The Esplanade – L Tower Saturday, November 28 – December 4, 2015. 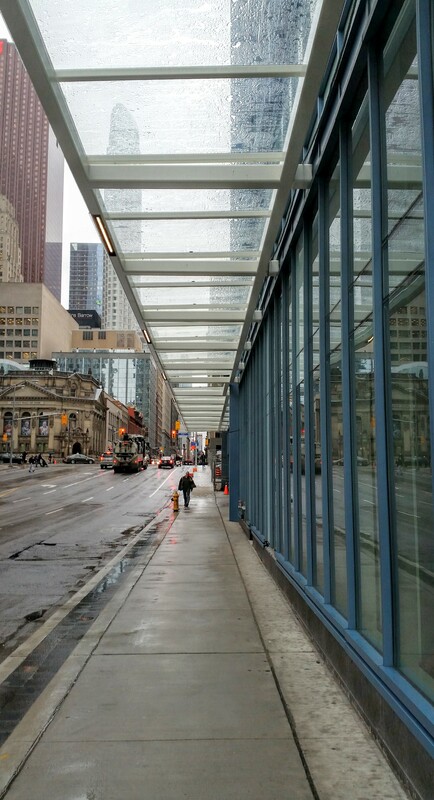 The canopy along Yonge and The Esplanade has been painted and the glass has been installed on the Yonge Street side. 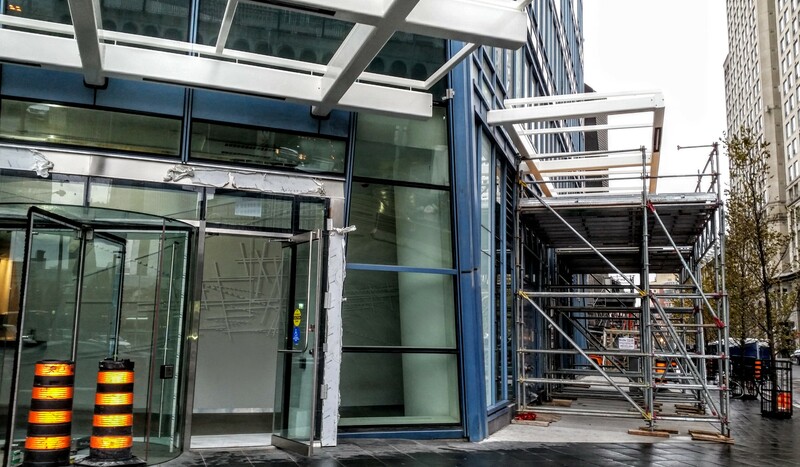 The glass installation will be completed on The Esplanade edges this coming week. 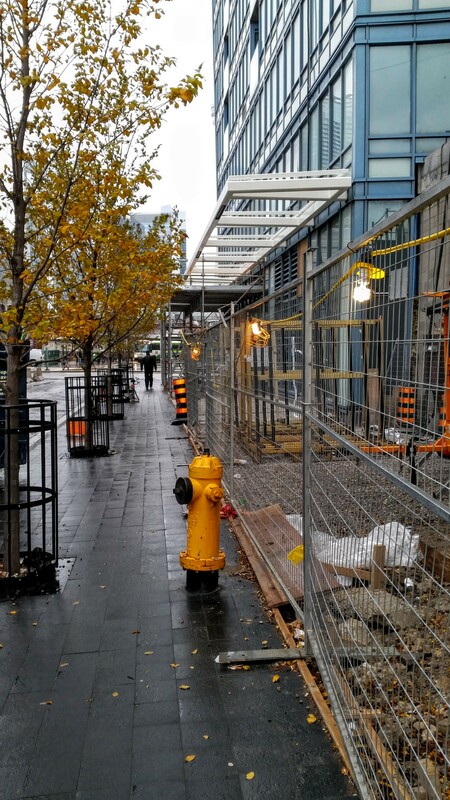 There may be temporary impacts on The Esplanade and Yonge Street sidewalks; paid duty officers will be on hand as required. 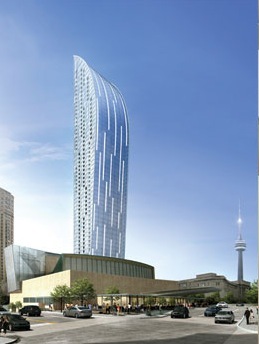 In addition to the now installed canopy lighting and temporary lights around the fencing at the base of the tower crane, there will be new street lamps installed by Toronto Hydro along The Esplanade between Scott Street and Yonge Street. Toronto Hydro. It is expected that the permanent street lights will be installed in the first quarter of 2016. 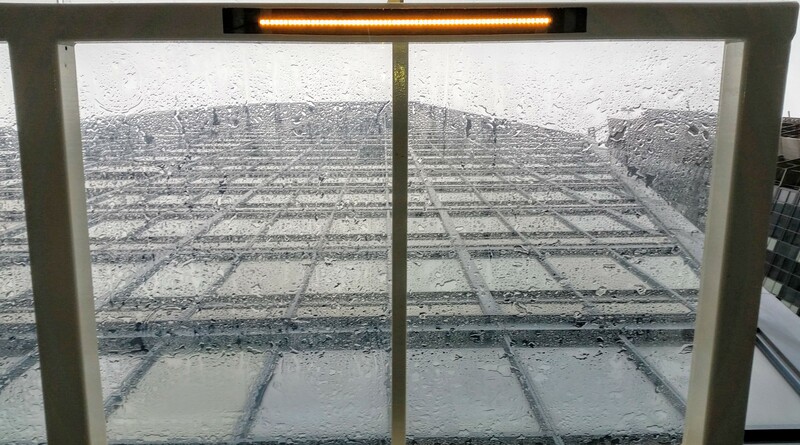 In the meantime The L Tower construction management team will install interim street lighting to enhance the evening light levels and replace the temporary lights in use now.